Home / Fruits / Greenery / 12 Reasons Why You Should Consume Mangoes. 12 Reasons Why You Should Consume Mangoes. 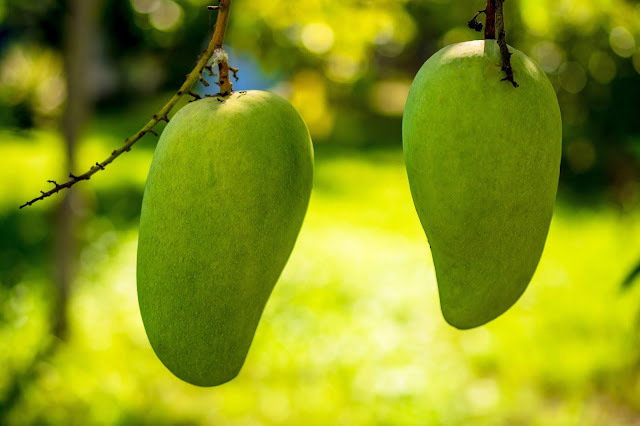 Mango has a Latin name Magnifera Indica. Mangoes are widely cultivated in tropical Asia. In addition to its sweet and fresh taste, mango has various health benefits as well. Mango is a fruit that is not only beneficial for daily food and cake decorator, but this fruit is also good for the body to consume, there are many health benefits of mango that you will get. The content of fiber, vitamin C, vitamin A, calcium, iron, protein, fat, carbohydrates, and natural sugars are in mango. Mango is a fruit belonging to the rock fruit group (drupa) which is a fruit that has 3 layers of fruit walls. The three layers of the fruit wall are the thin exocarp (skin), the fleshy or fibrous mesokarp and the thick and hard endokarp like a rock. There are various sizes and shapes of the fruit, some of which are round, ovoid and even elongated. While the length of the fruit ranges from 2.5cm to 30cm. Mango is a fruit that contains a lot of water and has various nutrients or nutrients that are beneficial to human health. Mango is rich in vitamins A and C. About 100 g of mango provides 27.7 mg of vitamin C and 765 IU of vitamin A, respectively capable of meeting 46% and 25.5% of daily needs. Mango also contains moderate amounts of vitamins B6, E and K. Mango is also rich in important minerals and electrolytes. The most prominent is potassium, which is around 156 mg per 100 g, and copper. In addition, there are still magnesium, selenium, iron, calcium, manganese and phosphorus. Mango also contains various phytochemical compounds that are different according to their varieties. There were 25 different carotenoids found in various mango cultivars, but the most abundant were beta carotene which gave orange color to mango. There are also alpha carotene, beta cryptoxanthin, lutein zeaxanthin, and lycopene. Important polyphenols are also found in mango leaves, including mangiferin, xanthonoid, and gallic acid. Prevent and treat heart disease. The content of fiber, vitamins and potassium contained in mango is a good combination of compounds to nourish your heart organs. Potassium and magnesium content in mangoes, good for hypertensive sufferers. Potassium is an important component of cells and body fluids that can control blood pressure and heart rate. About 100 g of mango contains 156 mg of potassium while the sodium is only 2 mg. A diet with increased potassium intake and sodium reduction is highly recommended for people who want to prevent heart disease. Mango also has pectin, a soluble food fiber that contributes to lower cholesterol levels in the blood. Pectin in mango also helps prevent the development of prostate cancer. Research conducted by the Institute for Food Research found that there are compounds in pectin that can bind and inhibit galectin 3 (a protein that plays an important role in all stages of cancer development). The European Prospective Investigation of Cancer also reveals a close link between consumption of mango and a reduced risk of gastrointernal cancer. Another study from Texas Agrilife Research says that polyphenol antioxidants in mango offer protection against cancer of the blood, and the lungs, and are most effective against colon cancer and breast cancer. 3. Overcoming anemia and good for pregnancy. Mango contains iron which is good for people with anemia. Regular consumption of mango in sufficient quantities helps overcome anemia by increasing red blood cells in the body. Mature mangoes are good for pregnant women who need lots of iron, vitamin C, B6, potassium, and folic acid. The high fiber in mango can prevent constipation. Mango also provides many calories needed in the first trimester of pregnancy. However, be careful in choosing ripe mango. Choose mangoes that cook naturally, not because of chemicals that can be harmful to pregnant women and the fetus. Another vitamin that mango has is B-6 which is important for maintaining and improving brain function. This vitamin helps the main merging process that affects mood and sleep pattern modification. Glutamine acid in the brain also helps increase concentration and strengthen memory. One of the important antioxidants contained in Mango is the antioxidant Zeaxanthin. Zeaxanthin's antioxidants function to filter blue light (blue light rays) that are harmful to eye health. Zeaxanthin's antioxidants also protect the eyes from age-related macular degeneration. This macular degeneration can damage the macula which is basically the part of the eye that gives sharp and clear vision. Mango also contains Vitamin A which is known as an important vitamin for eye health. Mangoes contain Magnesium and Potassium which can effectively control blood pressure. High blood pressure or hypertension is often referred to as "Silent Killer" because it often does not have clear symptoms. Keep in mind that, high blood pressure is the cause of heart attacks and strokes. The average sized mango has up to 40% of our body's daily fiber needs. Fiber can stimulate the activity of the intestinal tract normally in removing dirt so that it can help facilitate the digestive tract and can act as a natural remedy for constipation. People who consume certain nutrients or nutrients can avoid asthma. Mango fruit that is rich in Beta Carotene can act as a natural remedy to prevent and treat asthma. As we know that asthma occurs due to inflammation of the respiratory tract which causes a temporary narrowing of the respiratory tract which transports air from the nose or mouth to the lungs causing breathing difficulties, coughing, chest tightness and even death. 9. Control and prevent diabetes. Further research is needed, but several studies reveal that mangoes are good for controlling diabetes. One of them is carried out by the Federation of American Societies for Experimental Biology (FASEB), which says that consumption of mango every day helps reduce and maintain normal blood pressure. Another Oklahoma State Uniersity study found that consumption of mangoes helped reduce insulin resistance and increased glucose tolerance in experimental mice. The same experiment found that mangoes help normalize blood lipid levels, which can prevent the development of cardiovascular disease. Even so, it's good you consult a doctor before consuming mango because of the high sugar content in it. Mango plays an important role in overcoming digestive problems and excess acid. Digestive enzymes in mango help naturally smooth digestion, supported by high fiber content of food and water. Bioactive compounds in mango such as esters, terpenes, and aldehil contribute to increasing appetite and digestive system function. The most prominent vitamins of mangoes are vitamins A and C. Both are known to be very good for enhancing the immune system. Vitamin A is needed in maintaining the health of the mucous membrane which includes the outer body's defense system. Mango also contains beta carotene, a powerful carotenoid that helps protect the body from bacteria and toxins. Consuming mango can also be benefecial to gain weight.. Mango has high enough calories derived from sugar in it. About 150 g of mango contains 86 calories which can be absorbed easily by the body. Mangoes also contain starch which can turn into sugar and help gain weight.